Today’s travel theme is Island. 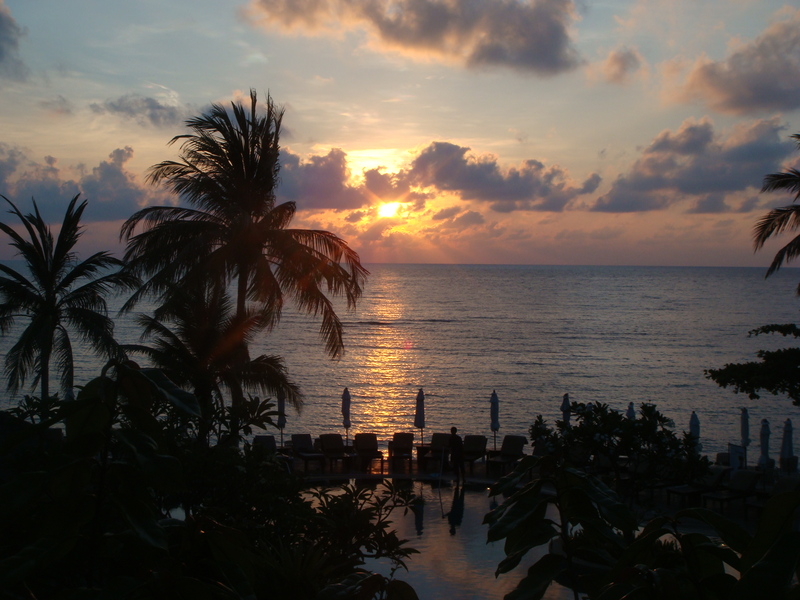 This photo was taken a few years back in Ko Samui, Thailand, and is one of my all-time favorites! My friends and I woke up early to catch a speed-boat tour, so I took advantage of the early hour and took a few shots of the sunrise. I remember being marveled by how well the shot turned out (which speaks more about the camera itself than my photography skills!). I love the quiet stillness that this image evokes, and the reflections in the water. If you look closely you can see the shadow of one of the hotel staff! Very pretty photo! Love the peacefulness of it. Thanks Dom! You would have loved Thailand. Lots of photo ops too. We need to travel soon! It’s such a picturesque island. I would love to go back!